“He loves me, He loves me not…” is a rhyme that many of us will remember from the days when Summer holidays seemed to stretch an eternity and the biggest worry we had was whether or not we’d be able to sneak a jammie dodger from the biscuit tin before bed. Of course, that particular rhyme meant very little unless we were clutching a fistful of daisies in our hands (we needed more than one incase we got the dreaded “he loves me not”). 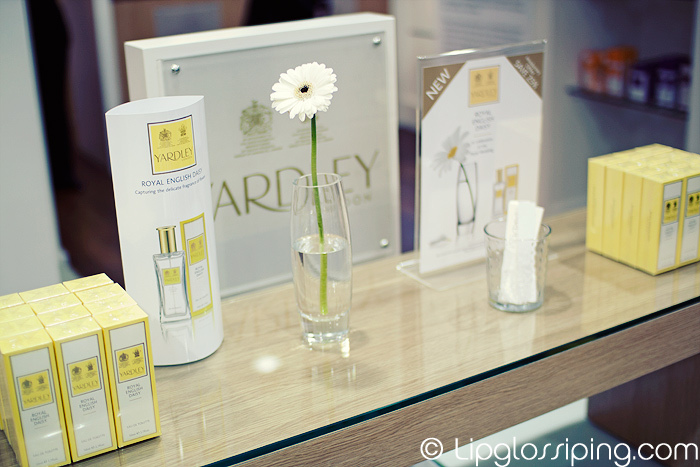 Yardley LONDON, one of England’s oldest fragrance houses, re-launched last September with reformulated and repackaged products in a bid to re-energise the brand. 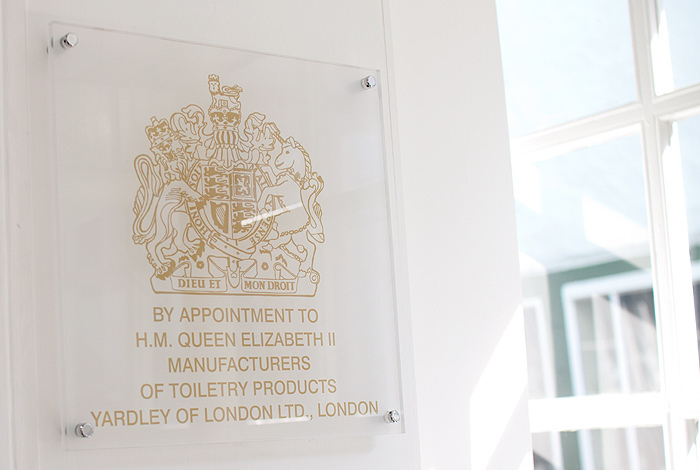 I would imagine that re-launching a brand so quintessentially English, with 240 years of history is not an easy task. Obviously they need to stay true to their heritage and their loyal customers but in 2011, they clearly need to look to enhance the image of the brand in the eyes of the younger generations aswell. 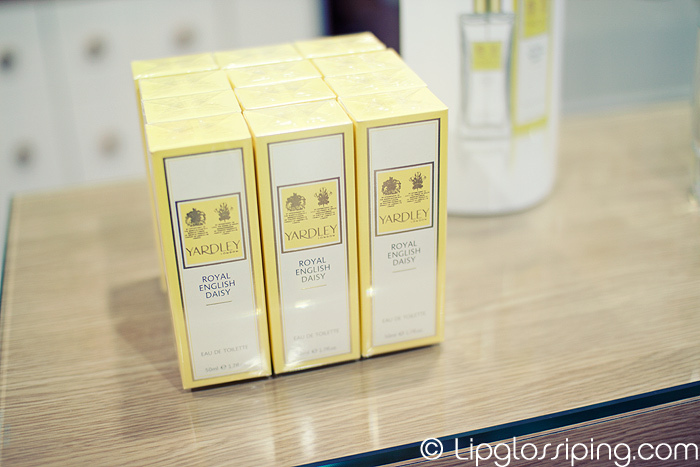 Perfume house Yardley LONDON have introduced the new fragrance collection to coincide with the imminent Royal Wedding. Based around the perceived fragrance of daisies (the flowers have no actual fragrance), the limited edition range comprises of three products. Daisies have long been a favorite of many, as they represent loyal love and innocence. They have the ability to bring a smile to a face or brighten a room like a golden ray of sunshine. 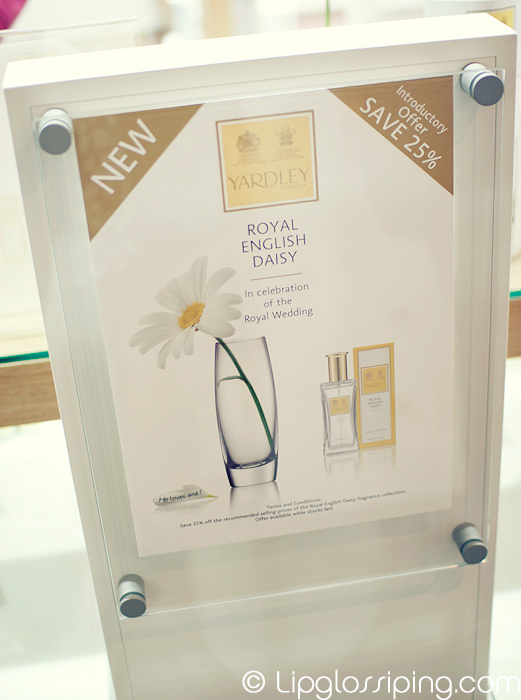 Yardley London’s Royal English Daisy is an elegant dewy fresh, green floral fragrance, reminiscent of flower filled meadows in the spring sunshine. It opens with a burst of energetic top notes in the form of fresh green leaves and apple, combined with a heart of hyacinth and white rose, enhanced with warm base notes of sandalwood and musk. It seems fitting to me that the brand who (are in possession of 2 Royal warrants), be the ones to commemorate and combine this Royal extravaganza with the classic British daisy. 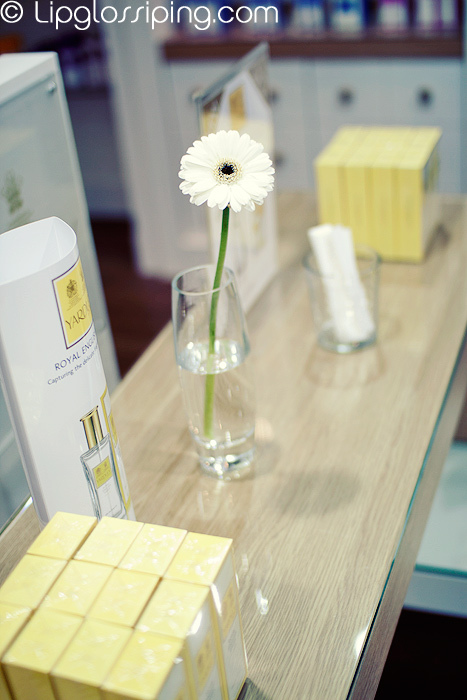 The fragrance itself, was inspired by the future princess, Miss Catherine Middleton. Yardley London wanted to create a new youthful, light and fun fragrance and they believe that they’ve successfully encapsluated her beauty, energetic and fun-loving character within the scent. I find the fragrance in all three products to be light, airy and most definitely spring-like. Not intoxicating enough for warm Summer evenings but perfect to spritz on in the mornings. It reminds me of cool linens and long grasses… it’s sharp at first, the EDT… alcohol-heavy… but the dry down removes the acidity and what remains is crisp apple and white flowers. It’s fresh, floral and a bit fruity. My particular favourite from the range has to be the Moisturising Body Lotion, though I’d personally describe it as a light lotion. It contains the same gentle scent that manages to linger on my skin for a surprising length of time. It absorbs quickly, leaving behind softened skin that also feels slightly cooled. For me, this product is going to be a Summer essential. I’ve enquired about whether or not Yardley London have any plans to introduce the body lotion formula to their other scents. No plans at the moment, but my goodness they must! The range is available to purchase now from Boots, Lloyds Chemists and online. Be sure to go and give it a sniff while it’s still available to buy, you may be pleasantly surprised at what you discover from this re-invigorated, heritage brand. I certainly was. I’ve got the April Violets and English Rose EDTs, just bought them from Boots for 25% off as well! Love the April Violets so much, this is my second bottle, so lovely! Haven’t tried the Daisy one yet, but will be sure to. I associate Yardley with my grandmother because she always wants Yardley lavender products for Christmas… and personally I’m not a fan of lavender, so I associate Yardley with stinking like an old lady. Despite this, I’m completely intrigued by this scent (especially the apple notes!) and will try to get a sniff when I’m in England this June. Will this be a permanent addition to the line, or will it only be around for the big wedding? My friend bought this and loves it. I want it soooo badly!